At UCSC we know that communities thrive when their members go out of their way to support each other. That is why we are asking our students, faculty, staff and alum to donate 50 hours of community service as individuals, or in teams, in honor of the campus 50 year anniversary celebration. 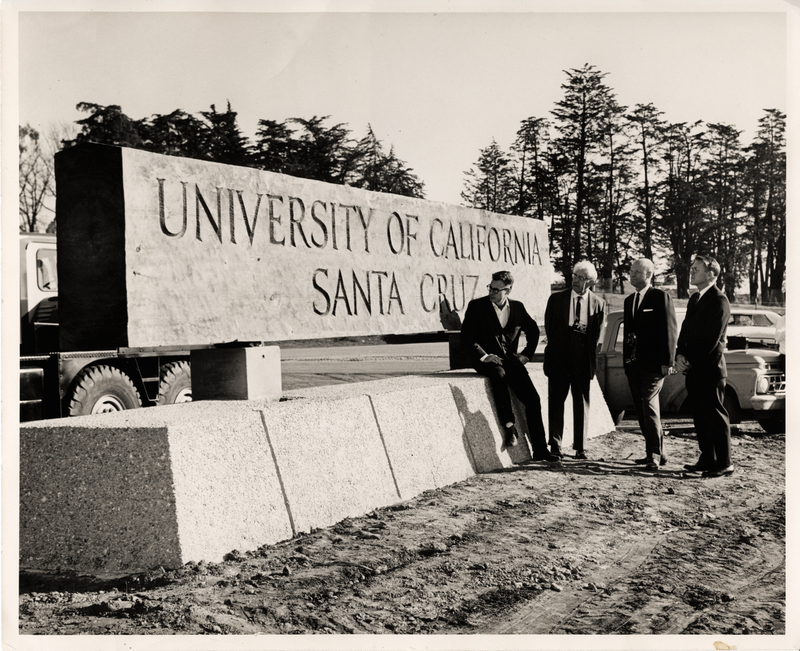 50 years ago the University of California at Santa Cruz opened its doors. And fifty years later we are still commited to supporting the community around us. The faculty, students, staff and leadership are committed to giving back to our friends and neighbors in Santa Cruz as we offer cutting edge research and inspiring ideas to a changing world. It all starts with the support and cooperation with this great community we call home. As we celebrate fifty amazing years in Santa Cruz, we continue to ask for your support and we pledge that we will continue to support the community that has given so much to us. Get involved! Make you pledge to donate 50 for 50 today. Email John Steele moriarti@ucsc.edu for details. UCSC first opened in fall 1965 with 652 students. Believe it or not, the campus's 50th anniversary is just around the corner — and we're gearing up to bring the celebration to our communities! In the same community-oriented spirit UC Santa Cruz was founded on, we want to spend our 50th birthday helping those around us. For more information on the 50th Anniversary please click here.